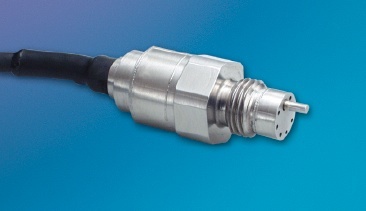 The HKL/T-375 (M) is a miniature threaded pressure transducer/platinum RTD combination. The pressure transducer utilizes a patented silicon on silicon design. The platinum RTD protrudes beside the diaphragm to sense media temperature. The pressure and temperature devices are designed to operate independently. All wetted parts of the transducer are compatible with all common industrial and automotive fluids.